This morning the Today Show did a segment on how schools want to stop teaching cursive writing. It reminded me of the article below that I wrote in March 2011. One comment objected to my posting topics unrelated to my expertise but I think it relates to computers and since my original post I have become an elected member of the Scotia-Glenville School District Board of Education. One of the arguments I always hear is, "We need cursive for signatures." I found out while running for school board, signatures are worthless not only on prescription pads but on petitions. When I gathered the signatures needed to get on the ballot I specifically asked people to sign their names so it was readable. For many political petitions and absentee votes a readable signature is required. On my petition over half the names weren't legible. Typically changes to primary education in our country is slow to proceed. To my surprise there’s a push to remove cursive writing from school curriculum and it’s gaining momentum. I’m shocked at the support from even older long time educators. It turns out in New York State our English Language Arts curriculum only requires legible manuscript either print or cursive. I don’t have a background in education but I do know what kids will need to be successful. I’ve never been a fan of the current D’Nealian cursive or its predecessors. Teaching me in 1st grade that a capital Q was written like a number two was the first time I started to question the intelligence of my teachers. I have never seen anyone write the letter Q like that so it didn’t make sense. My recommendation would still require penmanship but instead of cursive teach the topic of “script” or "typography" which teaches the elements of a script. What young minds need to know is that there are a variety of “typefaces” that can be used to express feelings beyond just words. 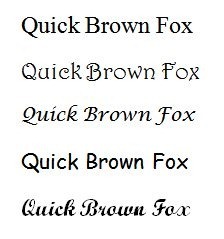 Instead of teaching kids a single cursive writing style, allow them to choose a particular typeface to practice their penmanship. Teach kids how different fonts should be used for different purposes. A font used for a business letter won’t be the same used on a poster to help find a lost puppy. I’m all for continuing to teach penmanship but get rid of cursive and let young minds expand. Let them know there are many ways to express what they write. Even if for some reason computers disappeared this wouldn't be useless information. The knowledge of scripts and how to use appropriate fonts will carry on in future language studies in older grades. I have noticed a lot of articles lately connecting the end of cursive education to Common Core. While cursive isn't a requirement in the Language and Arts requirements of Common Core 44 states had already dropped cursive before Common Core was implemented. Reading cursive still matters — this takes just 30 to 60 minutes to learn, and can be taught to a five- or six-year-old if the child knows how to read. The value of reading cursive is therefore no justification for writing it. /1/ Steve Graham, Virginia Berninger, and Naomi Weintraub. 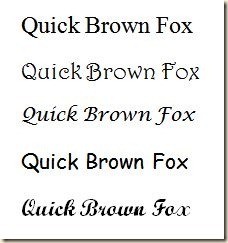 THE RELATIONSHIP BETWEEN HANDWRITING STYLE AND SPEED AND LEGIBILITY. /2/ Steve Graham, Virginia Berninger, Naomi Weintraub, and William Schafer. DEVELOPMENT OF HANDWRITING SPEED AND LEGIBILITY IN GRADES 1-9. (NOTE: there are actually handwriting programs that teach this way. Best regards, and the best to you and yours, Bill. Due to my sloppy penmanship I had to learn to type or flunk 8th grade English. You can text a friend with an iPod. You can touch a lovers heart with words written in the sand. You should learn to do them both.